Beautiful, hand dyed ostrich feather trim has a core edge that can easily be knitted onto the edge of your project or integrated into the body afterwards. Wow. 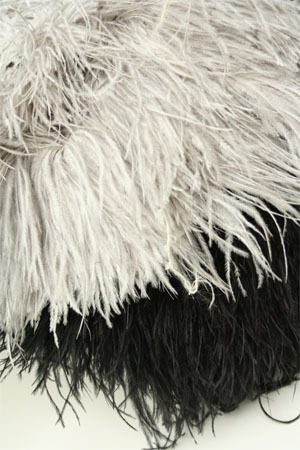 Pure, silky soft, ostrich feather trim. Perfectly dyed to match your Be Sweet Project. Need it to match a particular color - we can order it - just use the special order box below! See All Be Sweet Patterns!